Kathy from My Interior Life, come on down!! 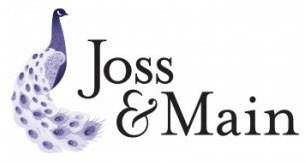 You are the winner of the $150 gift certificate to Joss & Main! With over 105 entries, your lucky number came up- so email me so I can get your info over to the Joss & Main people and you can start shopping your heart out! I wish I had 105 gift certificates to give away so everyone could get one. Thank you to all those who entered! Hooray!!! Thanks so much, Lindsey! I never win anything so this is huge!! Can't wait to shop! !